The Invacare Orion puts a focus on safety and reliability to deliver a mobility scooter equipped with multiple features making it ideal for use both indoors and outdoors. It comes as standard with Dual Headlights, indicators and heavy duty brake lights. It has a two step dirve disengaging lever to prevent accidental freewheeling. The Invacare Orion also comes with a unique safety feature, Automatic Speed reduction while negotiating bends. 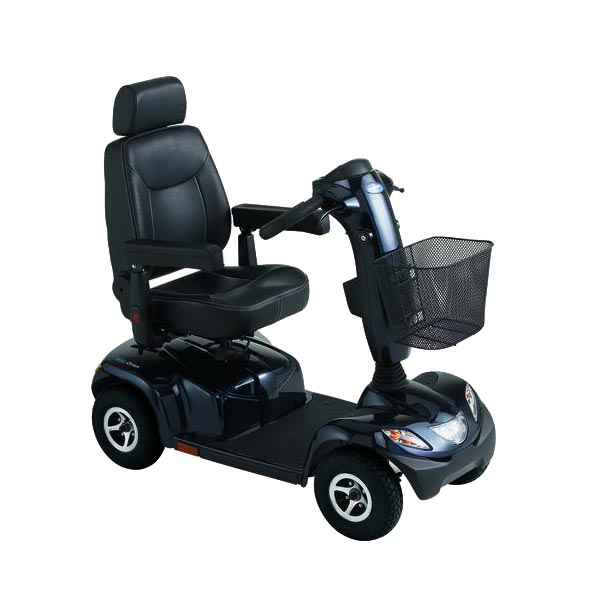 The Invacare Orion has a suspended chassis and large wheels to ensure a smooth ride over all types of terrain, and overall, is a great choice for a relaxing, reliable drive.